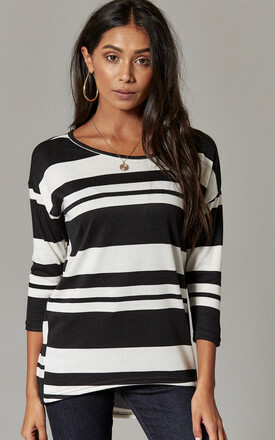 The ultimate wardrobe staple! 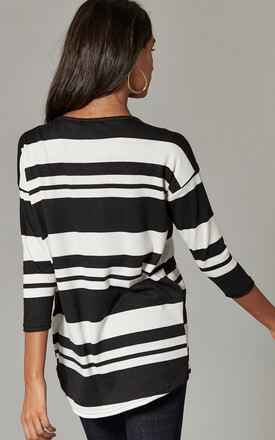 Easy to wear and effortlessly versatile, this black and white stripe top looks great anytime of day, any day of the week. Keep it casual with jeans and trainers or team with a leather look mini and heels for a dressier approach.